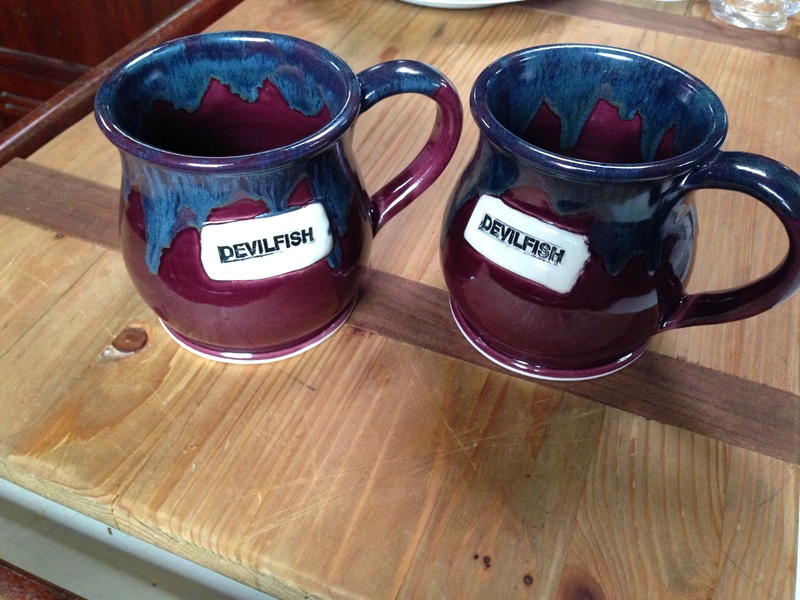 The birthday gift I ordered for my Better Half finally arrived this week: hand-thrown mugs with Devilfish on them. They are exactly what I hoped they would be and, more importantly, my Better Half thinks they’re awesome! I ordered them in early December with plenty of time to arrive for his birthday at the end of January. Unfortunately the artist injured herself and wasn’t able to keep up with demands. This meant that birthday gifts were only 6 weeks late… No matter. It’s the thought that counts, right? The very nice thing is that the artist included a custom pottery tile with our order. Custom tile goes great with my mermaid! We celebrated their arrival with cups of tea. I would like to say that we were mindful of the nuances of the new-mug experience but that was not the case. My Better Half was tearing apart Narnia (again) for a project and I was doing my best to stay out of his way. 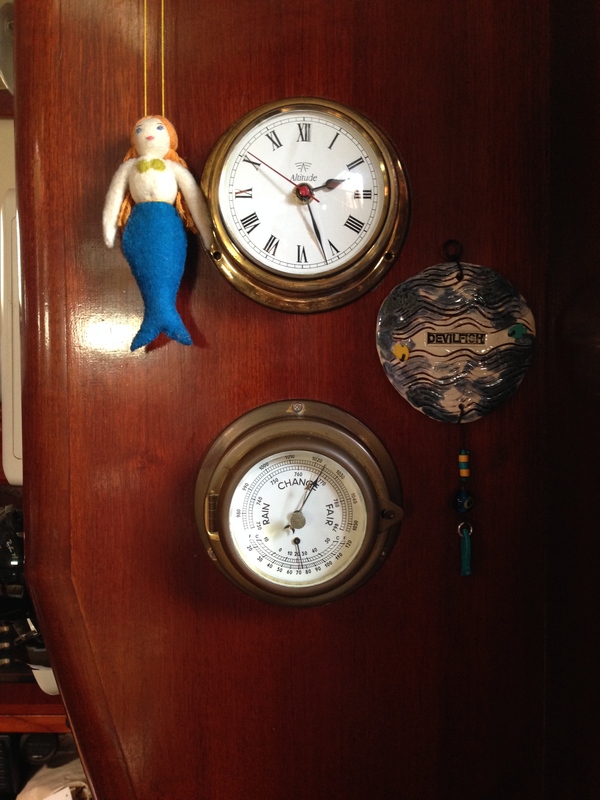 Such is life on a sailboat. The mugs themselves are fantastic and hold a terrific amount (which is just how I like my tea!). 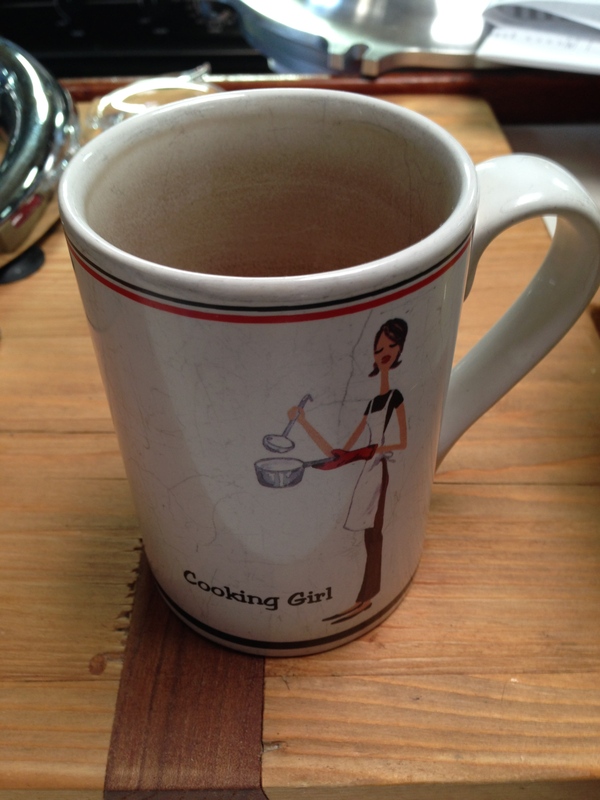 A new mug means saying goodbye to my 10+ year old Cooking Girl mug. She has served me faithfully and I have enjoyed many a morning cuppa with her. However, her insides are all worn away and goodness knows what sort of things are leaching into the hot liquid now that the glaze is gone. So… goodbye Cooking Girl, hello hand thrown artisan mugs! If you’re interested in a lovely mug or bowl or anything else pottery I would highly recommend blueroompottery.com!